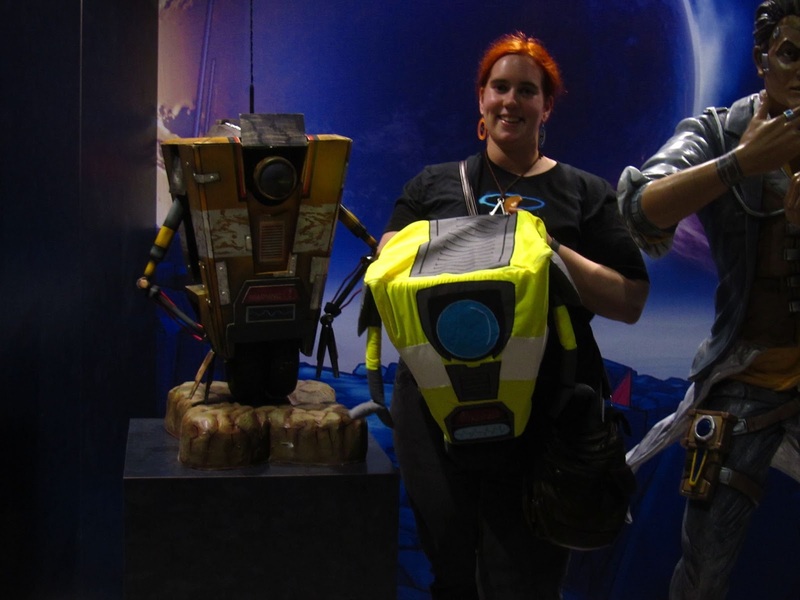 EPBOT: Reader Show & Tell: A Claptrap Backpack, Sliding Barn Doors, & Cosplay Galore! 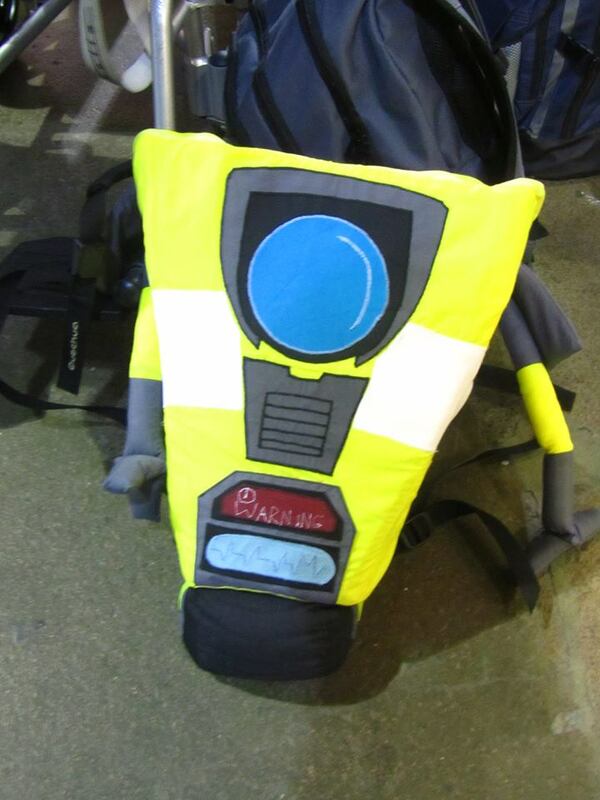 Reader Show & Tell: A Claptrap Backpack, Sliding Barn Doors, & Cosplay Galore! We all know Facebook is evil, like the fru-its of the dev-il, but ever since they turned off the "highlight" feature on Pages, it's been even harder (if not impossible) for you guys to see what each other are sharing on the Epbot FB page! I just wanna hug him! Here's Keren at EGX, where she got to play the new Borderlands prequel! LUCKY. 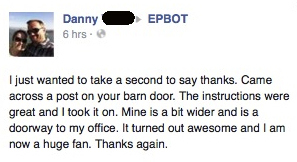 Next, Danny made his own sliding barn door using John's & my tutorial, and WOWIE. His version is super-sized! Aw, shucks. And now I want my own sliding barn wall. Best part? You can fold it flat for storage! Check out the tutorial on her blog - where she also made a cool Creeper version! In a similar vein, if you're not following A Mighty Girl already, GO. Follow. Enjoy. 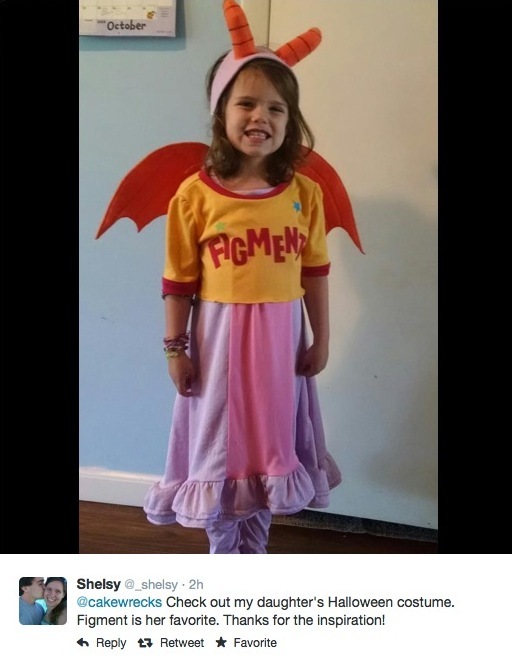 They do every day what I attempt to do in my sporadic Epbot Exemplars posts, and this month they're featuring lots of girl-empowering Halloween costumes, too. Love them. And speaking of costumes... does this look familiar? WOOT WOOT! She definitely wore it better. I get e-mails almost every week from fellow anxiety sufferers, and the amount of them going to conventions and cosplaying for the first time is so, so inspiring. Makes my heart extra-sprinkles happy. Love that skirt! And the clock-hand hair pin. The sock! The SPEW badge! THE EARS. I really love seeing all your creations, guys, so please keep sharing over on the Epbot Facebook page! And since I avoid my inbox like the plague these days, that and Twitter are really the best/only ways to ask or show me something, anyway. Aw, they're all so fabulous! I just had a minor freak out. My husband and I were at Disney World and saw that family. They were adorable! I had to call my husband over, repeatedly saying 'We saw them!' Thanks for making me feel like I met a celebrity ;) And they still look amazing! 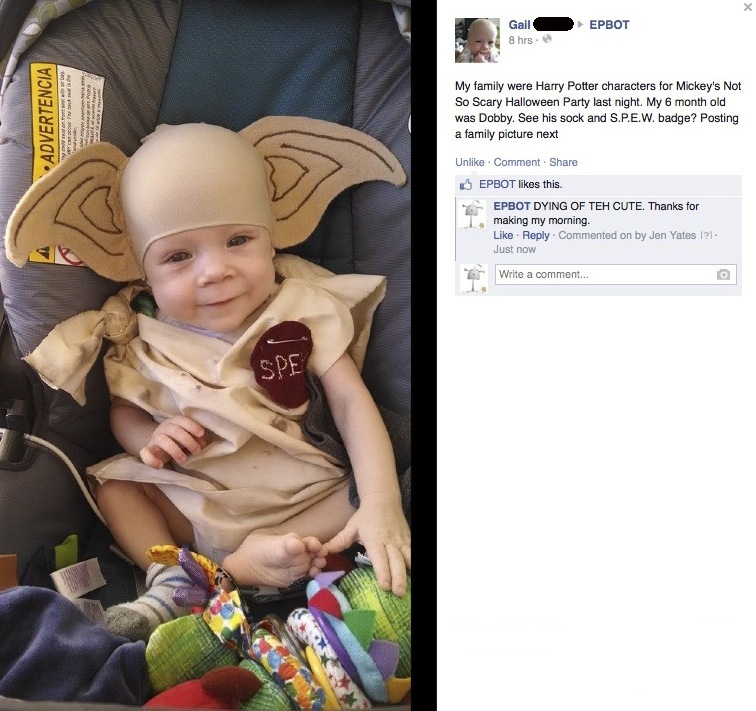 Omg BABY DOBBY!!! That just killed me. Now...speaking of that Harry Potter family. 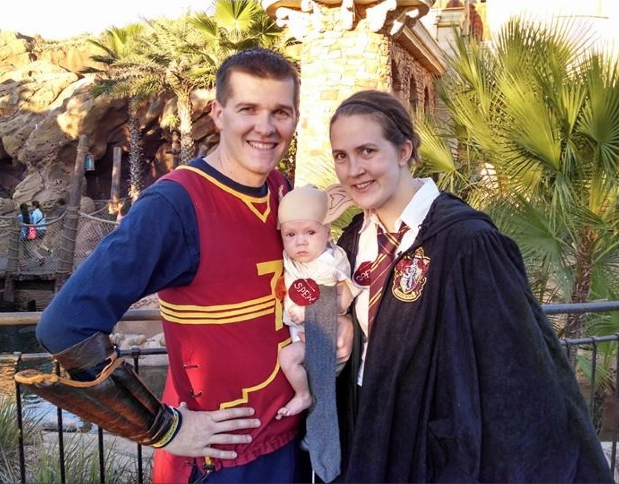 Not only did my sister MAKE that cute baby, she also made all of the custom components of their costumes like her husband's quidditch uniform, her cloak, and the entire Dobby costume. Clearly, I am ridiculously proud. Wow! Amazing work! Beautiful family! Your sis sews like a pro, and your nephew is pretty much the cutest thing I've ever seen in my life. His toes slay me. This is all awesome stuff! Great work, everyone! Hey, tiny Figment! You have the coolest Halloween costume ever! And your mom is pretty amazing for having it all finished so far in advance. I was always working on my son's costumes right up until it was time for him to go trick-or-treating. Ack! The stress! 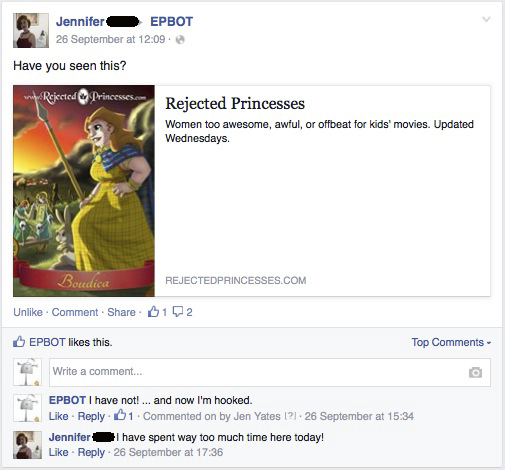 Thanks for this fun post, Jen. I'm a little sad about the email thing only because I'm NEVER going to create a Facebook or a Twitter account (because yuck), and what if I want to show you/send you something cool someday? But I understand that email would be overwhelming, particularly if you're getting hundreds of messages a day. Wish there was a solution other than Facebook or Twitter though. 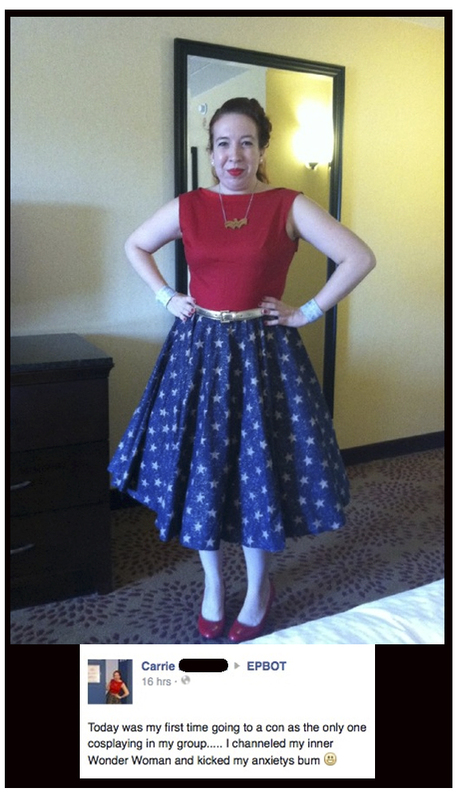 Carrie is a crazy-adorable Wonder Woman! 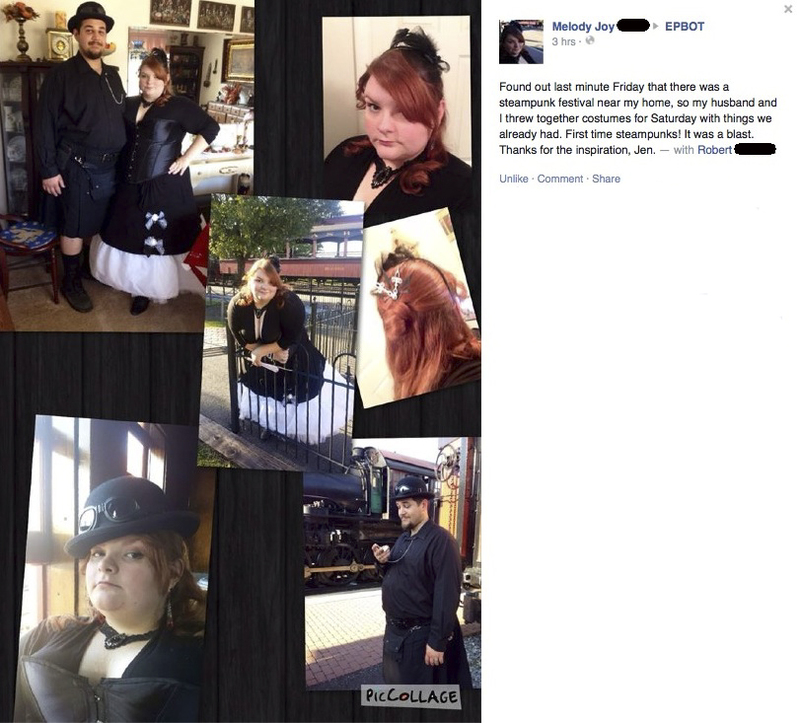 Good for her for overcoming her anxiety! -- now if I could only do the same! Melody and Robert threw stuff together last minute? REALLY?? I don't believe it. They look GREAT!!! I'm not even sure I could put together anything that would look that great even if I spent weeks or MONTHS on a costume. GREAT JOB GUYS!! 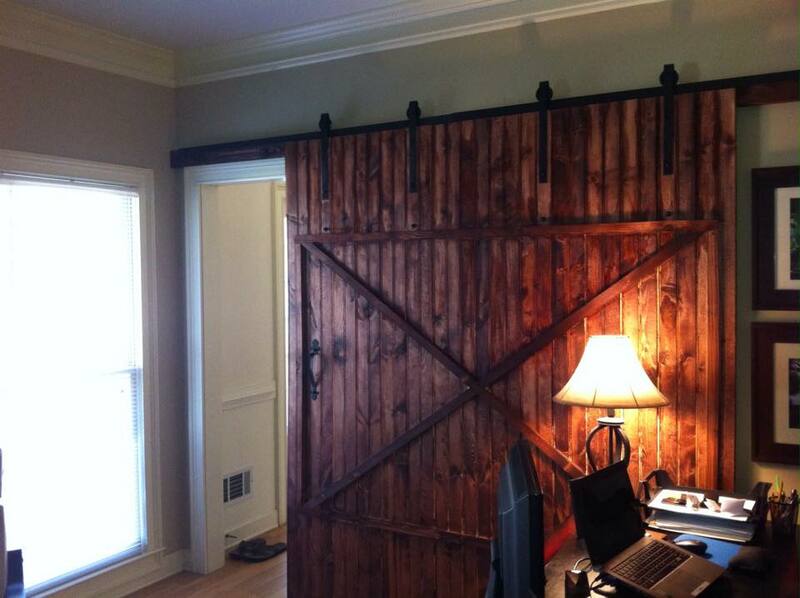 Also, I definitely have your barn door tutorial saved... for whenever I own a home... *sigh* someday. Thanks for the random inspiration, Jen! Oh that Dobby baby and the Wonder Woman outfit.. is it weird that I would just wear that as like an every day out fit it looks so awesome and such? because I would! #1. The So I married an Axe murderer quote made me so happy to Alaine Makes Stuff and #2 the Steampunk convention was right by my house!!!! !